MainAll NewsInside IsraelMKs Hit Back at Diskin: Why Wait till Now? MKs Hit Back at Diskin: Why Wait till Now? Former Shin Bet head's attack on leaders rouses ire of coalition members, who ask why he did not resign. Coalition ministers and Knesset members hit back Saturday night at former Shin Bet head Yuval Diskin, after he mounted a frontal attack on Prime Minister Binyamin Netanyahu and Defense Minister Ehud Barak on Saturday, calling them "messianic." Several responders asked why Diskin, whose term as head of the Shin Bet ended almost a year ago, did not resign from his position if he had such low confidence in Netanyahu and Barak. Minister of Culture and Sport Limor Livnat (Likud) said that "The timing and style Diskin chose for attacking the prime minister cause one to suspect that he is motivated by foreign considerations… in a manner that is unbecoming for a person of his status and his former position." "It is too bad that he is ignoring the responsibility that he bears even after he has finished his term in office," she said, "and chooses to attack the prime minister for an unclear reason, in a way that could cause Israel damage among those who wish it ill in the international theater." 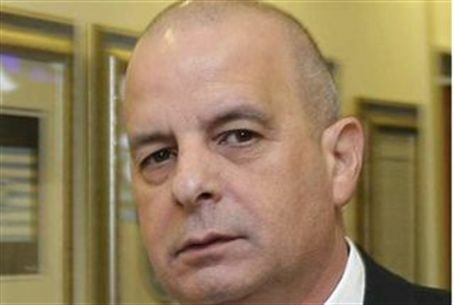 Minister Shalom Simchon (Independence) said that "Diskin's crude and irresponsible statements reflect primarily on him. If Diskin is so worried about Netanyahu and Barak's leadership, why did he not resign from heading the Shin Bet?" Simchon said that Diskin had shown poor judgment that caused Gilad Shalit to sit in jail for years, and forced Israel to pay a high price for his release. He hinted that Diskin is on his way to politics. MK Carmel Shama Hacohen (Likud) noted on his Facebook page that elections appear to be nearing, and speculated that Diskin's statement was made in that context. "We should not get too excited because in the course of the coming year we will hear many strange things about the prime minister, certainly from frustrated politicians who are in a cooling off period, who will say extreme and alarming things in order to keep themselves relevant." MK Shama Hacohen noted that when Diskin's original term as Shin Bet head ended, he stayed on for another year, even though his bosses were Netanyahu and Barak. Ministers Avigdor Lieberman (Yisrael Beitenu) and Yisrael Katz (Likud) also commented on Diskin's statements and commented that he should have said them when he headed the Shin Bet, and resigned – rather than wait for now.